At B & B Villa Amelia families are welcome. You will find a perfect place to spend a vacation with your children or just a weekend a few steps from the sea. Paulo CoelhoAll grown-ups were once children. But few of them remember it. Along the Tuscany from north to south, the first tourist area we find is the Versilia, one of the most sought-after by families looking for a good compromise between comfort and great beaches to make your holiday relaxing for the parents and fun for kids: the numerous beaches located along the coast from Forte dei Marmi, Viareggio, offering a variety of entertainment activities. Children are spaces, a family atmosphere and many activities: mini club with entertainment, swimming pool, playground, but also exciting sports such as surfing and sailing. As part of the Festival of Versilia, the town of Pietrasanta organizes countless events during the summer including the Teatro dei Piccoli with a rich program of puppet shows and Intelligent Fun Park, a laboratory where create sets and costumes . A Palace of games, held in Palazzo Mediceo Seravezza with many initiatives and workshops, as well as the children’s library, which is open all year. . The many free and equipped beaches, yellow sand and fine, with entertainment and games for children, allow you to spend your relaxing beach holiday. For some years an area of the city is home to an amusement park with attractions and entertainment surrounded by greenery and a runway equipped with swings and slides. 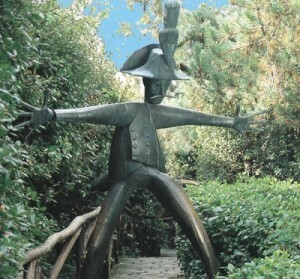 In 2008 he was created a nature trail in the pinewood in front of the sea, ideal for the enjoyment of the whole family. Tuscany offers a variety of destinations for the entertainment of children. The offer is varied and includes several museums with themes suitable for children, educational parks and real amusement parks. The amusement parks of Tuscany are numerous and well-equipped with all sorts of game, from water sports to those with fields for soccer, basketball and minigolf. All these structures are specifically designed for the enjoyment of children and represent an ideal destination for all those families who wish to spend a pleasant day outdoors with their children. Between the theme parks the most important, and very much appreciated by children and parents, is surely the Pinocchio Park (50 km from Villa Amelia b & b) a large area dedicated to the famous puppet, which is located in Collodi, a small town in the province Lucca, birthplace of the inventor Carlo Lorenzini. At Massa (15 km from Villa Amelia b & b) do not miss a visit to the Parco dei Conigli (Park of the rabbits). In a world made of asphalt, machines and technology, the idea is to create a space where teens, children and families could spend some ‘time in contact with nature, all year round. The reason for the name there paleserà before just walking through the entrance of the park, that is when you can see the many animals hopping around among the people. The park of rabbits born with the intent to promote, especially to children, respect for animals and vegetation. In fact, in the park you will find most of the pets in total freedom, you will have the opportunity to interact with each of them stroking or feeding them. The park also offers rabbit food, fun and relaxation .. Including Bar, Pizzeria, Ballroom, but also mini golf, bowling, billiards, table tennis, and a veritable playground for children of all ages. For those who want to spend a day in quiet are available tables and benches surrounded by greenery where you can play a game of cards, a picnic or just a chat in peace. The park is open every day from 10:00 in the morning until late at night, except on Monday morning. In Pistoia (45 km from Villa Amelia b & b) children can discover over 600 exotic animals at the Zoological Park willed and created by Raphael Galardini in 1970. It covers an area of more than 7 hectares, where, among a dense vegetation are housed and cared for about 65 species of mammals, 40 birds and 30 reptiles. The majestic jaguar, the mighty polar bear, the nimble Rothschild giraffe, large reticulated python and the rare lemur of Madagascar are just some of the examples that can be seen in the Zoological Gardens of Pistoia. Inside the park of Poggio la Garena, the majestic oak trees, is open the new Great Adventure Park Giant. In front of the park of Villa Demidoff, a garden for the enjoyment of children with fun activities – training in contact with nature. Seven courses for adults, teenagers and children 3 years of age, which grow suspended between the trees, with heights and progressive difficulty, a little over a meter high path Butterfly, up to 14 meters, the most athletic , all in complete safety.